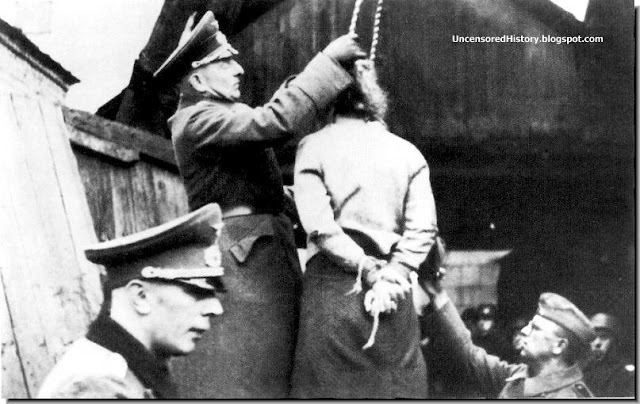 The war on the WW2 Eastern Front was Total War, Absolute War....Call it anything...It was brutal. 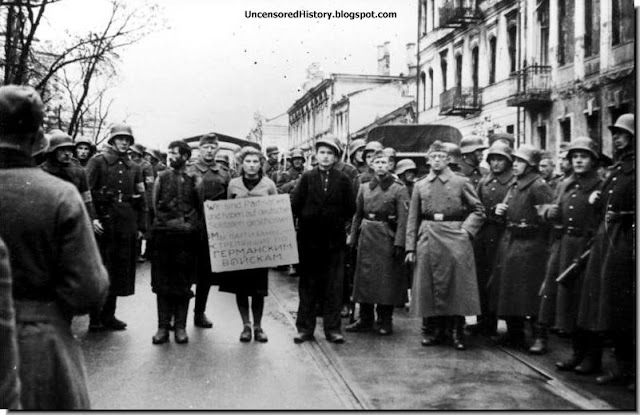 After the Germans swept through Soviet Union in 1941, partisans activity in the occupied territories started prompted by Moscow. The Germans considered the partisans a serious threat (Not without reason). On October 26, 1941, the first partisans were hanged in Minsk. 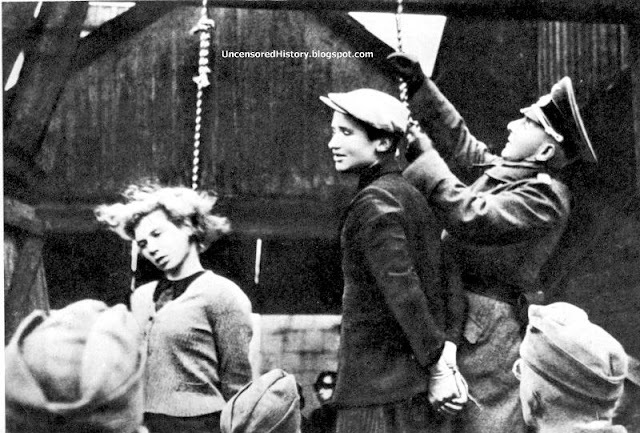 The whole execution was filmed by a photographer. Underground workers managed to obtain duplicate pictures, which, after the liberation of Minsk were handed over to the Soviet authorities. These photos featured at the Nuremberg Trials as a document of accusations against Nazi criminals. 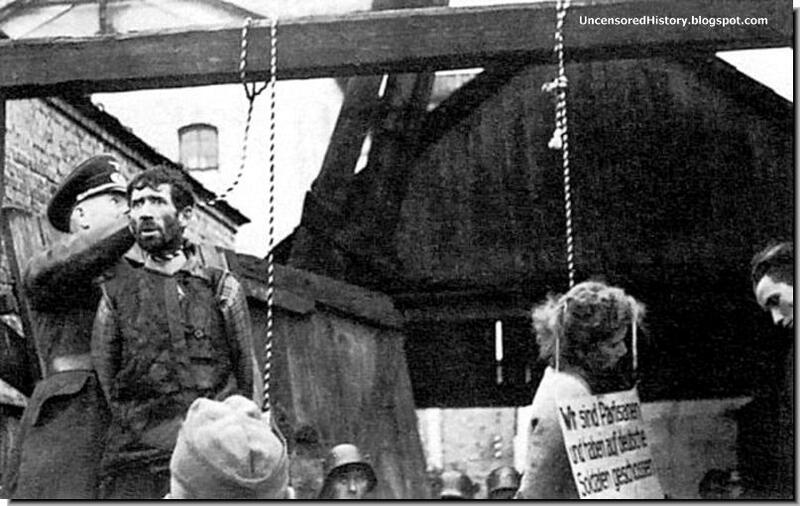 The board hanging from the neck reads (written in German and in Russian) "We guerrillas fired on German troops"